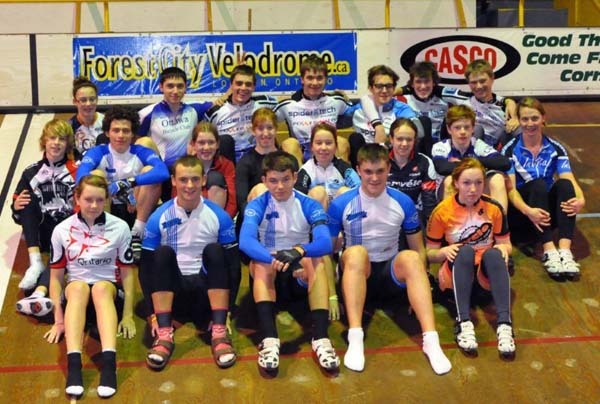 What an outstanding weekend of training for the 26 Cadet and Junior track riders from Quebec and Ontario. 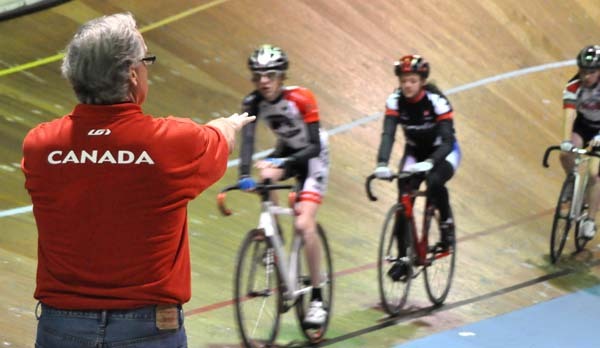 This was the first of eight camps to be held across Canada this winter to better prepare our Junior Athletes for International competitions in 2012. The camp attendees started on Friday evening, with a two hour skills and drills session that got all the riders up to speed and improved the skills for all the athletes. On Saturday, an early afternoon session set the stage for the evening of racing that produced several outstanding performances. The racing continued until close to 10:00 pm and the riders had to be up early for a 8:00 am session that set the stage for all of the camp attendees to stretch their legs after a tough night of racing. The Sunday session had the endurance riders doing team pursuit efforts, along with the sprinters practicing team sprint efforts. The camp wrapped up with a spirited 100 lap pace line, with many of the campers lapping the field to finish off the three days of intense skills and team building camp. 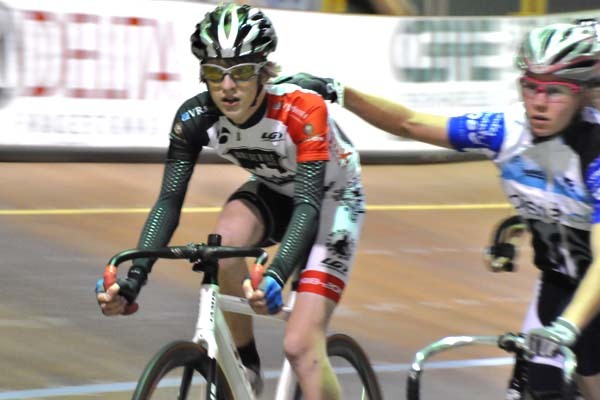 The next two CCA development camps are November 11-13 at Burnaby Velodrome, and Forest City Velodrome on the weekend of November 25-27. These camps are for Cadet and Junior-aged athletes who have been to the track prior to the camp. For more information go to these two websites, or contact sara.poutanen@canadian-cycling.com.